Currently at 70 capturable units. The 17 elements from pokemon. Over 30 unique abilities(unit passives). Lots and lots of dialogs. Lots and lots of tooltips to inform you what those dialogs do! Day time cycles(Dawn, Day, Dusk, and Night). Abilities that correlate to time of day, certain units only appearing at certain times of day. About 80% of terrain is done. Can switch units in battle. Share experience as in pokemon. Can be played with up to 8 people. Color coded by element attack buttons. Experience gain, Leveling up, Learn new attacks, and Evolve! Any feedback is appreciated. Notice any bugs lemme know! "well that wasn't suppose to happen!" He says "idk what just happened!" "Well what were you doing?" Recently added trade feature so you can trade units to others. 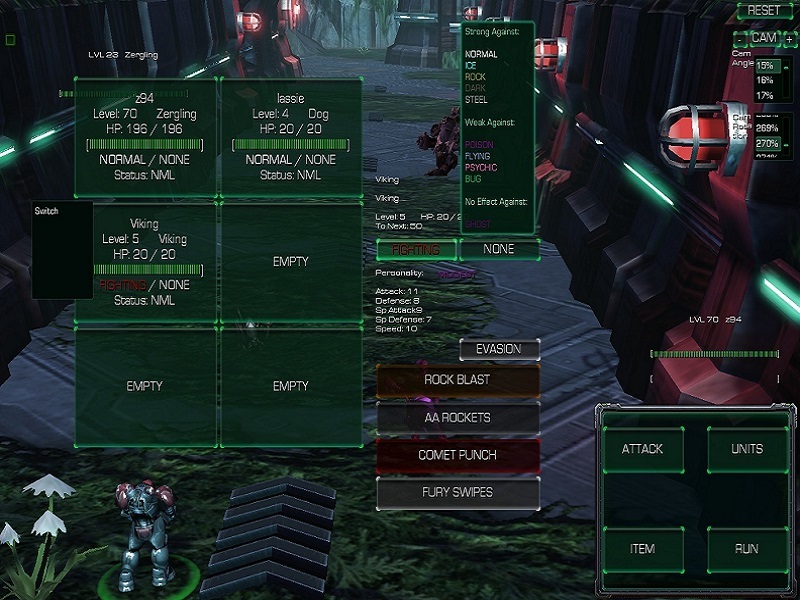 Added more units and more attacks and more abilities and more to come! Is this public? I might try it out sometime. It looks like you put a lot of work into this. It looks fun, but I think there's already another map that is going to upstage you. Honestly, this actually does look pretty entertaining. I think I'm going to check it out later whenever I get around to testing my own map. You should check this out for inspiration maybe. It is a group of people who I'd say are really good at using the sc2 editor. Their work just seems really polished and great looking. It isn't released yet, but from the screenshots, it looks really good. Yea I know about starmon :P it's why I originally stopped working on this map 2 years ago at that point I already had everything but duels, trading, lots of units, and multiplayer. When I saw the arcade became free and starmon still wasn't up and running... I was like what the heck lol so I completely redid all my triggers to change game from 1 player to 8 player.... such a pain lol. Saw your review, thanks for the feedback its appreciated. Added a little optional demonstration to for first time players, in order to show them the ropes hopefully that'll make it easier for them to understand whats going on. Will probably expand upon it even more when I get the time. 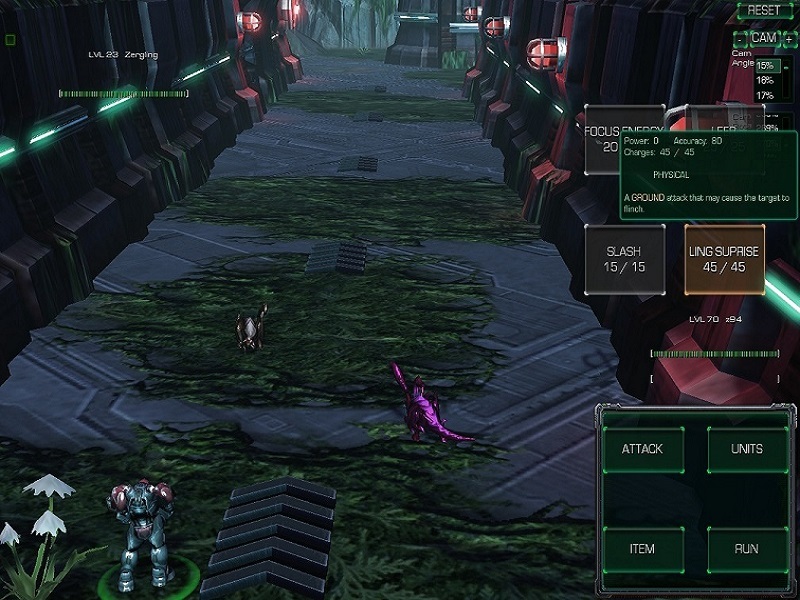 Right now it just shows you how to encounter enemies, how to attack, how to capture, how to see your units in the menu, and how to heal your units up. When I get the time I'll probably also include switching in combat and using the PC. But other than that I don't know how much more newbie friendly I can make it without being there to tell them myself lol! As far as the unfinished feel goes... Well it is after all faaaaar from finished lol, but yea I know what you mean I'm not very good at making things look pretty lol and most attacks don't have animations at the moment. When it comes to aesthetics I've never really cared much so I can understand how you feel that way cause I have no taste in those matters! Glad to see you are reading feedback you get. What I meant by it is kind of hard for new players, was that you had a lot of helpful text showing what to do. There was just so much of it at once, there was no way I could read it all very quickly. Idk if I said that correctly, but I tried. Anyway, whatever you added probably will help. Good luck! Alright if I can get on at the time :P I'll gladly join. And definitely wouldn't mind more testing and feedback on it! Yea those buttons are there to show you the units attacks and abilities. Their only made buttons so that you can see the Power Accuracy and effects of the attacks so that you can make a more informed decision when switching in battle. Has alot of BIG improvements in the last few updates. Added a bunch of units. Added a few more events. Fixed all reported bugs and all bugs I managed to find on my own. I stumbled upon a evolve bug with probe turning into lingboss. Sorry about getting back to you so late :P I sent you an email and a reply to your messages. I'll look into that evolution bug thanks :D.
Hmm I tried to replicate the probe evolving into a lingboss I didn't work : / I looked at the triggers as well it shouldn't happen unless something really screwy happened.